I've been BEYOND BLESSED to work with some AMAZING brands over the past few years. Apparently I must be doing something right because some of my favorite companies want to continue working with me. One such brand is Garmin! In case you're unfamiliar with the brand, Garmin is a technology company, known for its specialization in GPS technology development for use in automotive, aviation, marine, outdoor, and sport activities. They're big players in the wearable technology field and if you've been around my corner of the InterWebs for any extended period of time you know I've been rocking a Garmin watch from the jump (or at least once I knew running was here to stay and could justify the investment). Some of the Garmins I've had over the years... Forerunner 110, vívofit 2, Forerunner 220, Forerunner 735XT and the Fenix S5. Whether you already live an active lifestyle or you just want to get started, Garmin has the gear to take you further. From fitness bands to smartwatches with built-in sports apps — and even smart scales with wireless connectivity — taking steps toward a more active lifestyle starts with Garmin. They (and their products) truly help you #BeatYesterday! And I've been fortunate enough to work with them for the past few years. In fact, they even asked me to be part of a marketing campaign a while back. To say I felt like a complete rockstar might be the understatement of the decade! If you could be an ambassador for any brand, what would it be? Congratulations. This is really cool. Garmin would be high on my list, as well as Brooks. I've been running in Brooks since I decided that running is my thing now. Stunt Puppy leashes or Hurtta Harnesses! Love my dog running gear! Congrats! I love garmin. 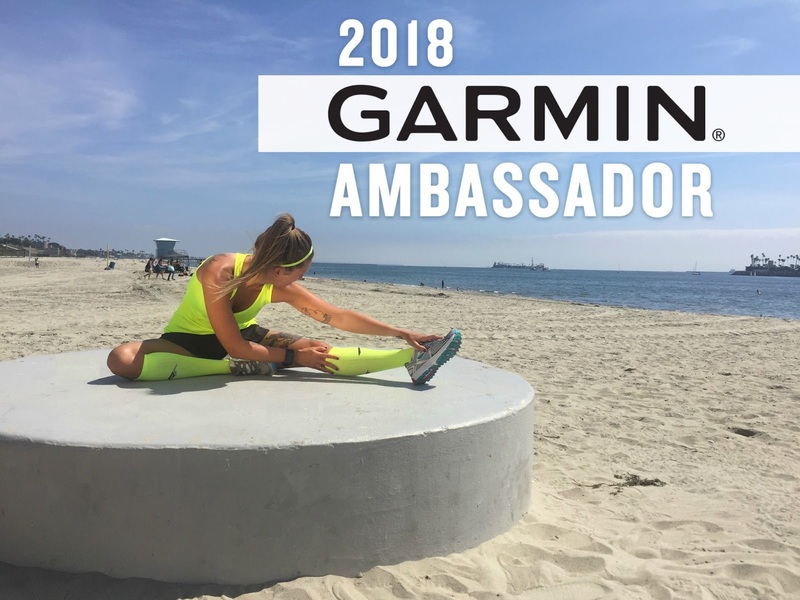 If I had the chance I'd love to be an ambassador for Garmin, Brooks and SOS. Garmin for sure!!! I’m addicted to looking at my data and making personal goals for training! I’ve even gotten two patients to invest in a new Garmin the past few months. Such a great product!! Woot woot keep rocking the roads!! ?